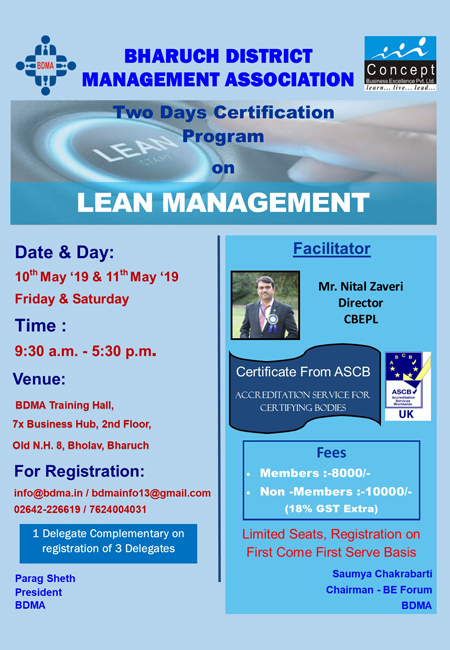 Two Days Certification Program On "Lean Management"
Certificate From ASCBAccreditation Service for Certifying Bodies. Limited Seats, Registration on First Come First Serve Basis. 1 Delegate Complementary on registration of 3 Delegates.